The Browne 98164 sixth-size steam pan has a stainless steel construction that makes the pan corrosion resistant and durable for commercial use. Bending and edge damage are reduced with the reinforced edges. Since the perimeter has an anti-jam design, stacked pans do not stick together so your pan’s edges are protected from damage. 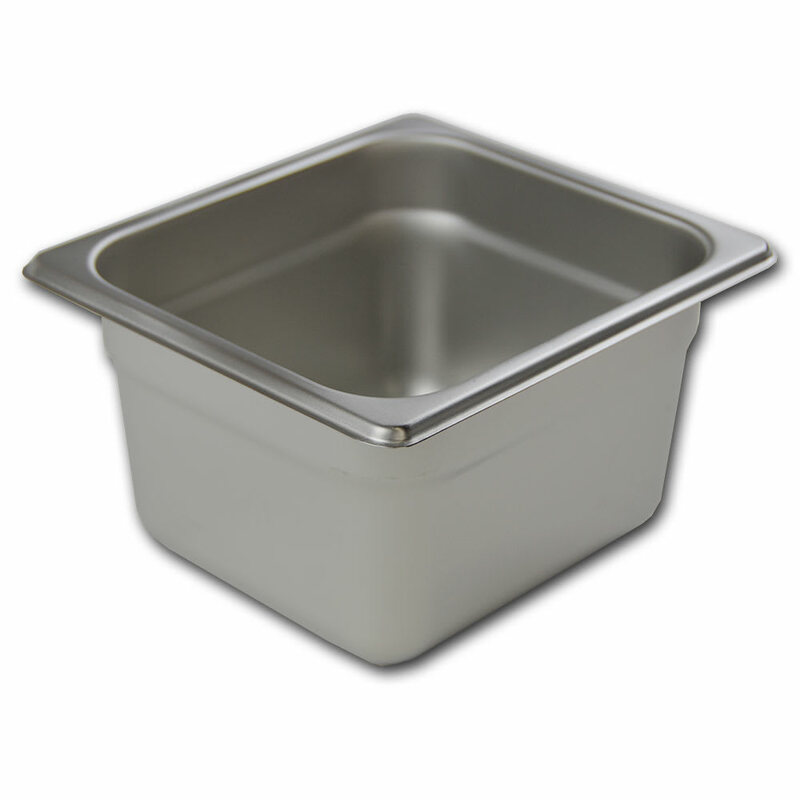 The 2.1-quart capacity of this Browne 98164 sixth-size steam pan is ideal for use in salad and sandwich prep areas.